Unfortunately it's not possible currently to achieve in Jira Cloud. There is technical limitation which do not allow to modify/influence existing Jira elements. You are only allowed to create a new one. 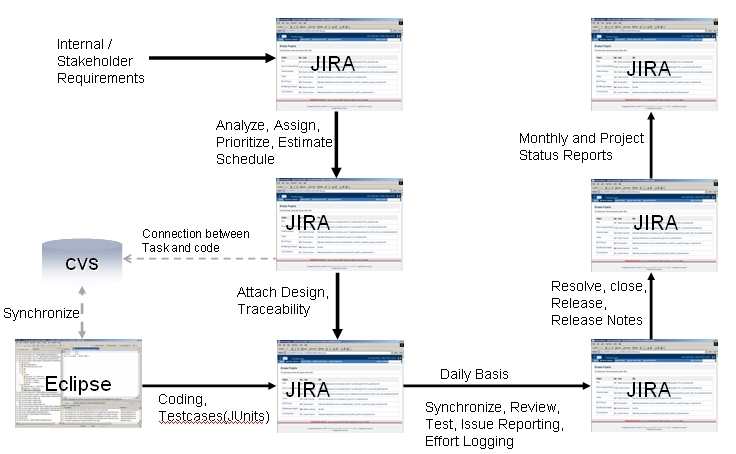 Statuses of ideas / tickets are determined by JIRA workflow configured for the particular project. For the details, refer to What is Workflow . Categories of ideas / tickets are determined from JIRA components.